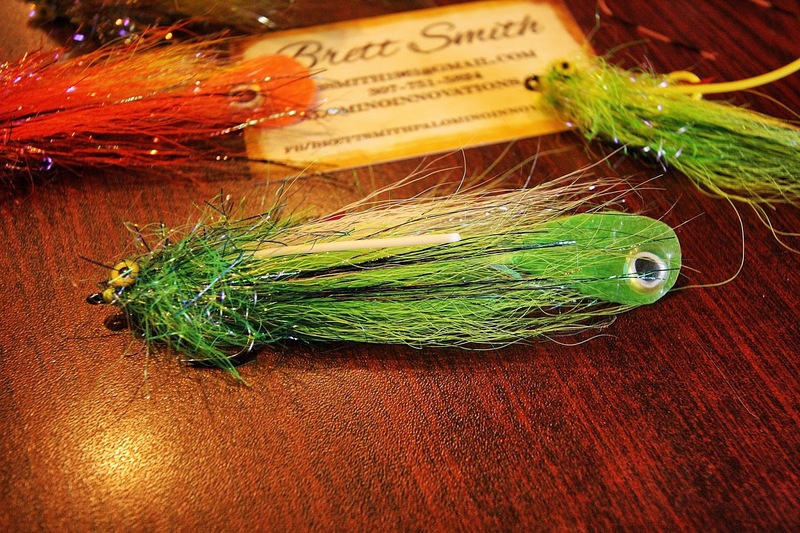 I can't wait to use these innovative peacock bass flies! 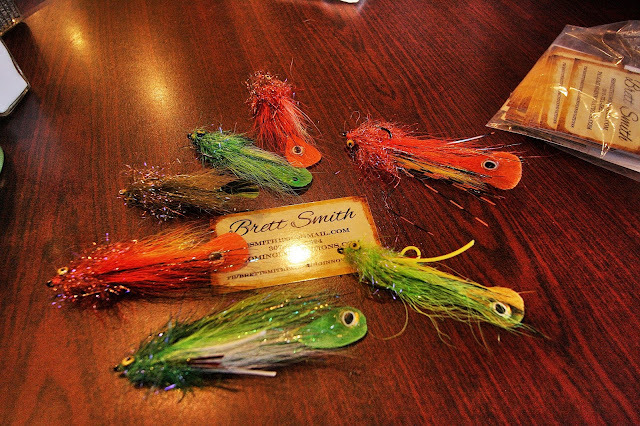 I leave tomorrow for the Amazon and asked Brett Smith to put his considerable tying skills to work and make me a few Peacock bass flies. I just got them yesterday and wow, they are beautiful! Brett and I have been working on tying some of my favorite baby tarpon and bonefish fly designs over the last few months. 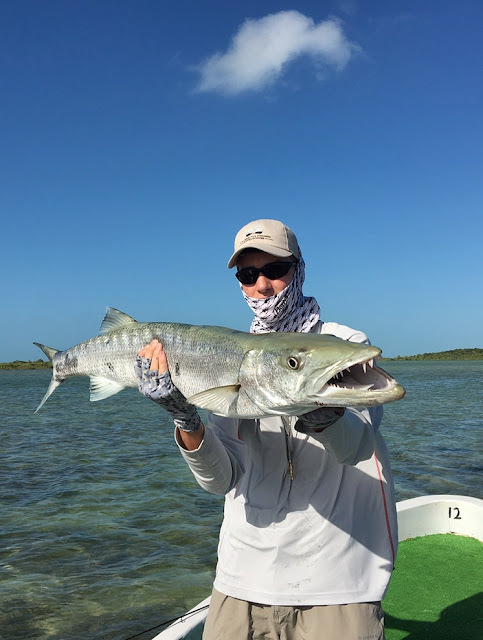 We've spent a lot of Saturday mornings lately drinking coffee and talking about bonefish and tarpon flies. We hope to have some rock solid designs available for Angling Destinations' clients this spring. We have been working on some of my designs and on some highly productive patterns that are not commercially available. He will also be tying custom orders for AD clients too. More on this soon! I've know Brett for over 25 years. He is a big barrel of a man with a quick laugh and a wicked sense of humor. Brett was the first manager of my fly shop in Big Horn Mountain Sports. 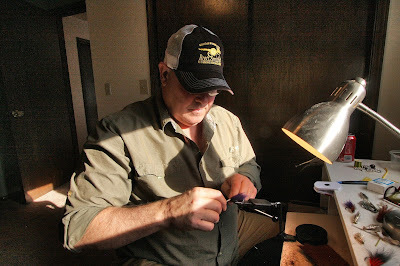 Brett is a superb fly fisherman and an even better fly tier being one of the most innovative fly tiers I know. We have produced some prototypes and now are working on refining our designs. I'll keep you up to date on our progress, but hope fully they will be available soon! I speak with experience: It's good for the parents, good for the kids and good for the future of our sport. It's also a great way to make sure the next generation will love the out-of-doors enough to want to protect it! We loved the place [Costa de Cocos]. Super chill and not many people. Unfortunately the wind was freaking ridiculous. According to Sailflow, it blew 25-40 all day and night until the day we left. I've fished the salt a lot but never encountered those conditions. We did catch bones every day, but the fishable flats could be counted on one had. My son caught his first bone on fly. We had a blast running and gunning schools of 10 pounds jacks in the bay. [Will] caught 6 jacks on fly. Broke two hooks on those 10 lb jacks. The lodge was sweet and the staff great. Food was good. Guides were good, professional. They run a tight program down there. We will return.